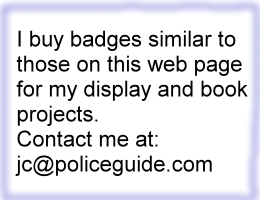 made by Irvine & Jachens. The dirigible hangar was located at Moffett Field in Sunnyvale. 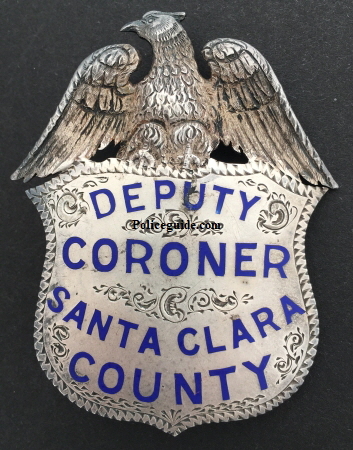 Santa Clara County Deputy Coroner badge, sterling silver, hand engraved, with T-pin. 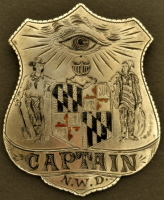 This badge is featured in the book “Badges of America’s Finest Vol. II” by Casey on page 72. 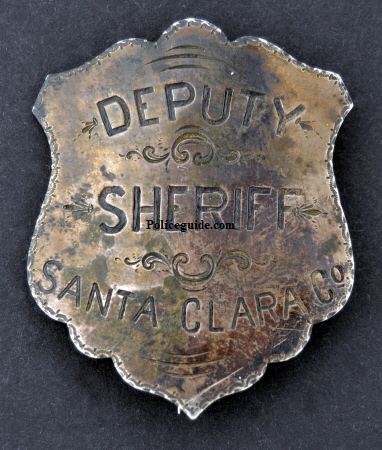 Santa Clara County deputy sheriff badge, circa 1880. Sterling silver, hand engraved, T-pin. 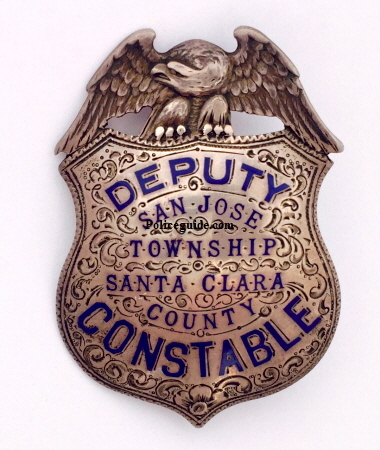 San Jose Township Santa Clara County deputy constable badge, circa 1930. Sterling silver, hand engraved. 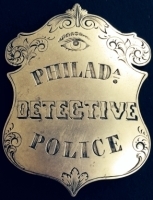 This badge is featured in the book “Badges of America’s Finest” by Casey on page 57. 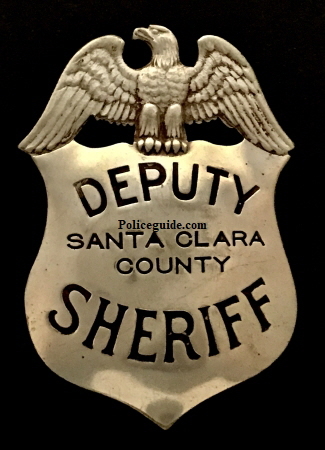 Santa Clara County deputy sheriff badge, circa 1930. 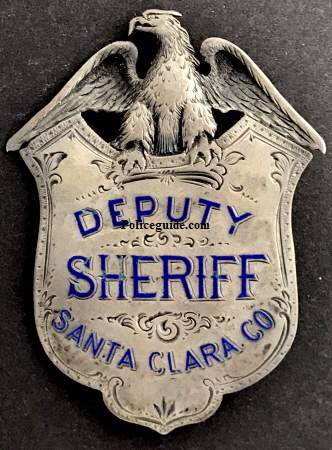 Nickel silver, made by Ed Jones Co.
Moffett Federal Airfield, also known as Moffett Field, is a joint civil-military airport located between southern Mountain View and northern Sunnyvale, California, USA. On November 10, 2014, NASA announced that it would be leasing the airfield to Google for 60 years. The airport is near the south end of San Francisco Bay, northwest of San Jose.